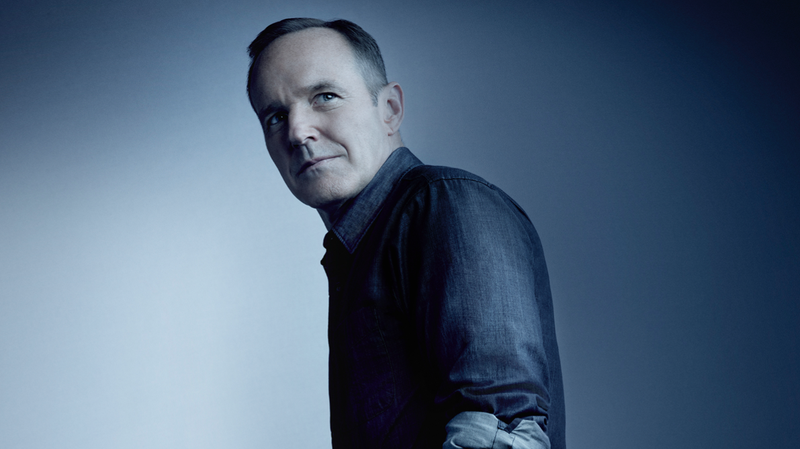 While Agents of SHIELD’s Phil Coulson is, at least currently, quite dead, actor Clark Gregg’s been spending time settling into his mysterious new role on the show as a character who’s everything the fallen agent and friend to the Avengers was not. This new character, Gregg explained, is someone who will terrify SHIELD’s heroes. I think in the early days it was very much an experiment and honestly, Marvel was really one big company, and now it’s really not. I think it’s really two separate divisions and there was a real desire to thread very carefully what we were doing with the movies. You know, at the end of season one with the Hydra reveal in Captain America: Winter Soldier, it turned our show upside down. But I think when the show started to really find its best stride was when our writers decided “Eh, screw it. We’re going to take what we can get and there’s a lot of stuff [Marvel Studios] doesn’t seem to be using. They don’t seem to be using L.M.D.s, they don’t seem to be using Ghostrider or the Framework. At first we didn’t believe that we were doing Secret Warriors, but then it became clear—‘Oh, that’s Quake.’ They’ve ingeniously taken the parts of the Marvel universe—which is broad—that no one seemed to be interested in, and we’ve squeezed every drop out of them and really let our train go on its own track. When we asked Gregg about how season five’s ending came to be, he was frank about there being a point in time when everyone was certain that the show had been canceled and that it was fitting to give Coulson one final goodbye and the sendoff he’d always wanted.